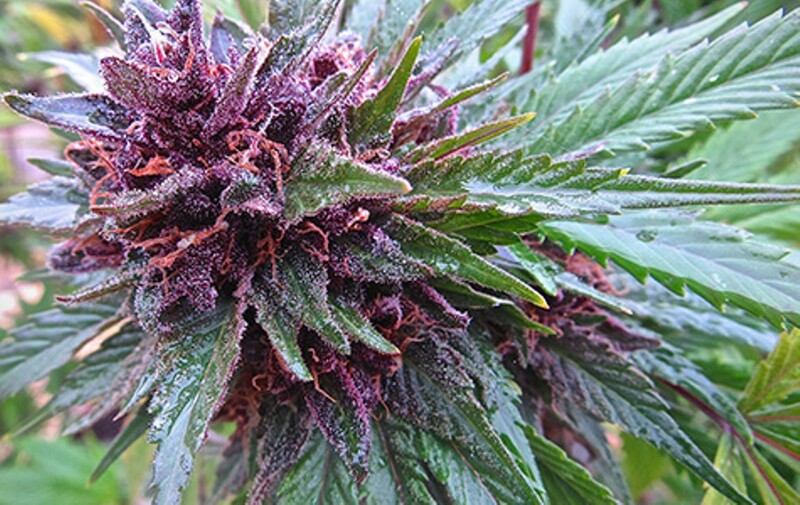 David Downs Outdoor flowering cannabis is especially susceptible to mold as it ripens. Myclobutanil: This chemical is found in the notoriously popular Eagle 20 brand fungicide. According to the World Health Organization (WHO) it is "slightly hazardous" to humans. It is not approved for use in cultivation of tobacco, but has been found in some marijuana products. Imidacloprid: This insecticide is found in popular Merit and Mellet brand pesticides. WHO considers it "moderately hazardous" if ingested or inhaled. Abamectin and the avermectin chemical family: Found in Avid and Lucid pesticide brands, the Pesticide Action Network lists avermectin as a "bad actor," and Avid is labelled as "harmful if inhaled." Erik Johansen, a policy assistant in the Washington State Department of Agriculture, gives lots of public talks to farmers about pesticide use, and he usually expects a mute shrug, or maybe one or two questions. But this is not the case with cannabis growers. "The enthusiasm for me to be there is just — they line up afterward to shake my hand, and they thank me," said Johansen. "Cannabis growers have as many questions as you have time to answer. If you have handouts, every last one will be gone. They're hungry for information." America's amateur and professional cannabis gardeners are getting more state guidance than ever before about how to control pests and weeds and maintain a safe and healthy environment. Medical and recreational pot laws in thirty-five states have prompted officials to weigh in on what types of chemicals should be allowed on pot crops to control for bugs, fungi, bacteria and other diseases. Marijuana can easily be tainted with dangerous chemical sprays, so as the cannabis economy grows, state agencies are responding with an unprecedented effort to educate farmers about how to apply pesticides, fungicides, herbicides, and other compounds that help weed thrive. The guidelines are rudimentary, but they're a historic start. In California, Colorado, Washington, and Oregon state regulators are now routinely posting and updating lists of approved pesticides with pot farmers in mind. For example, California's Water Board recently released a modest, one-page list of appropriate weed sprays. Other states have much more robust efforts. Colorado's allowable pesticides list is twenty-six pages long, and Washington's list is twenty-two pages long. Oregon released a list of 257 allowed pesticides this past February. New England states, meanwhile, are mandating that their medical marijuana cultivators follow a completely organic regime. Altogether this is creating a patchwork of cannabis pesticide laws, with some conflicts between states, and no federal-level regulations yet to build national standards for what could one day be a national industry. Here's what California's regulators have deemed to be allowable pesticides for keeping pot plants healthy and happy and not endangering the customers who will end up smoking, vaping, eating, or rubbing on the finished bud products. For mite, flea, and beetle infestations, a farmer can use spray-on sulfur solutions. For mites and outbreaks of powdery mildew there's neem oil. Predatory nematodes can be introduced to attack root diseases. Potassium bicarbonate and sodium bicarbonate are useful for treating powdery mildew. And azadirachtin, a chemical compound extracted from the neem plant, can deter aphids, whiteflies, gnats, leafminers, cutworms and more. The state water board is distributing its pest management guide on its web site in hopes that cannabis farmers will grow healthier buds and not harm waterways and ecosystems near their grow sites. All of this guidance is the first minor step in cleaning up America's cannabis supply. Thousands of growers and consumers will likely sicken themselves or others either by improperly applying pesticides, or by consuming toxic residues on pot. Significant amounts of black market pot, as well as medical and recreational supplies are tainted, experts say. Under total prohibition, cultivators face few consequences for spraying harsh chemicals to control pests and save their crops. Unfortunately, some farmers will do anything to prevent valuable crop from being damaged by bugs. The first medical marijuana law in 1996, and the first adult use law in 2012 have helped ignite efforts to clean up legal supplies. 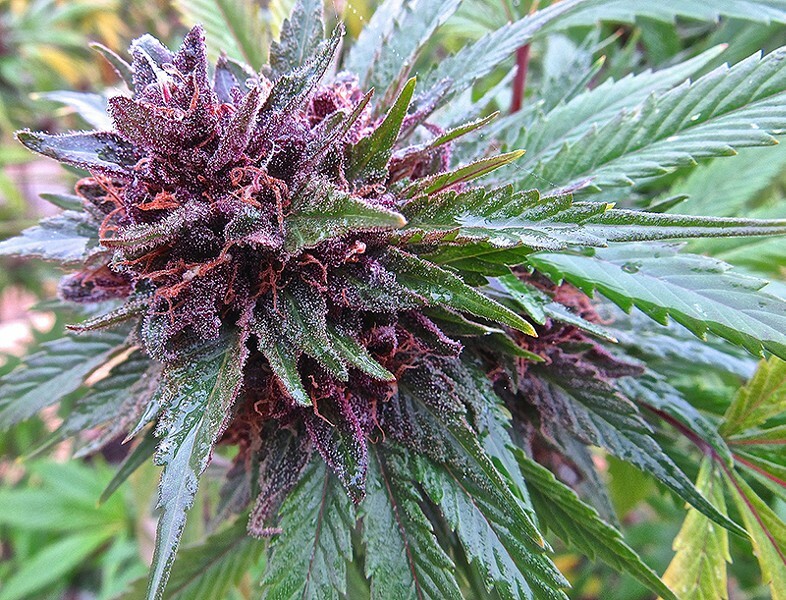 Since pot is still federally outlawed, no pesticide is federally approved for use on cannabis. So states are guiding growers to the most benign active ingredients already allowed for use on analogous crops like tobacco or herbaceous herbs that are meanted to be smoked or eaten. States are adapting US Environmentla Protection Agency guidelines of 'minimal risk' natural pesticides that are exempt from the mandatory approval process. These include essential oils, beneficial molds, fungi, insects and other animals. "Until things change federally, it's kind of tough," said Johansen, who developed Washington's allowed list. "It's not a perfect system, but it's a system that at least tried to address [the issue] by allowing things that are fairly low in toxicity." State legalization regimes also now mandate the testing of cannabis products which has helped reveal commonly banned pesticides in use. Colorado's pesticide screening program has resulted in nineteen product recalls in nineteen weeks as of early February, affecting hundreds of thousands of items in circulation, from vaporizer cartridges to edibles. In January, an Oregon lab caught the pesticide abamectin, a toxic chemical, in supposedly organic "Guardian Mite Spray," which has been used in pot grows. Washington state regulators verified the finding, leading to a national advisory and the recall of Guardian from store shelves. Washington has fined two commercial cultivators over the last year, but the state's guidelines will arguably have the most effect on home growers who now have a concise list of safe products to use, Johansen said. The operators of the world's largest cannabis competition, The Emerald Cup, also recently announced they would be testing for pesticides in competition-grade weed for their 2016 event. A significant percentage of 2015 entrants failed lab tests for pesticides and bacteria, they said. Washington cannabis farmers now have about eighty allowed active pesticide ingredients they can use. By contrast, there are about one thousand allowed pesticides for apple farmers. The state is under pressure to add more allowed chemicals to give pot growers more options. "I think we're being fairly conservative and there's a reason for that. We just don't have data to go any further," Johansen said about the slow pace of approving pot pesticides. Consumers who want to ensure they are inhaling clean products must either grow their own according to new guidelines, or buy products that come with an independent, third party certification for organic-grade cleanliness. In Washington there are already two companies, Certified Dank and Clean Green, that provide such certifications. Clean Green Certified weed is also already available in the East Bay. Consumers can and should double-check a farm or retailer's certification on the Clean Green Certified website at CleanGreenCert.com. Unfortunately, as certification gains traction, false advertising is proliferating. "It's tough right now, to be honest with you," said Johansen. "I think we're beginning to get a handle on it. The industry by and large has been very supportive." Jay Feldman at the non-profit Washington DC advocacy group Beyond Pesticides said America has a golden opportunity to ensure the next major legal crop is fully organic. Colorado's pesticide program is already too lax, Feldman said. States are giving users a false sense of security when regulators should be enforcing federal law that no pesticide has been evaluated, let alone approved, for use on cannabis. Copying EPA recommendations from tobacco "is really un-protective of public health and the environment," Feldman said. "I would say it's worse than nothing." Beyond Pesticides advocates banning all pesticides on cannabis, except organic ingredients listed by the Organic Materials Review Institute as OMRI-certified and the EPA's minimum risk list of pesticides. "There's no reason at this point to open this industry to chemical dependency," Feldman said. "That's where the states should be right now. It's a huge opportunity. I wish we had these opportunities in some other crops that don't need pesticides."